The dissolution of the Socialist Federal Republic of Yugoslavia created seven new countries in the Balkans. Bloody wars over ethnic, religious and national territory for much of the 1990s sent millions of people across new borders. Systems for civil and birth registration throughout the former Yugoslavia were devastated, and thousands of people lost or had their documents destroyed during the conflicts. The wars also separated people from their homes. In Yugoslavia, proof of permanent residence had been a precondition for receiving citizenship and virtually all government identification. The same policy was adopted throughout the Balkans after Yugoslavia fell apart. This woman was born in Kosovo but has lived in Serbia for over twenty years. She and her family live in an informal Roma settlement in Belgrade. Because she has no documents, all of her children were not properly registered at birth and are legally invisible. The family is trying to acquire their birth registrations through a new court procedure. Conflict between Serbian authorities and ethnic Albanians in Kosovo in the late 1990s forcibly displaced thousands of Roma from Kosovo into Serbia. In Serbia, many lacked any form of identification. 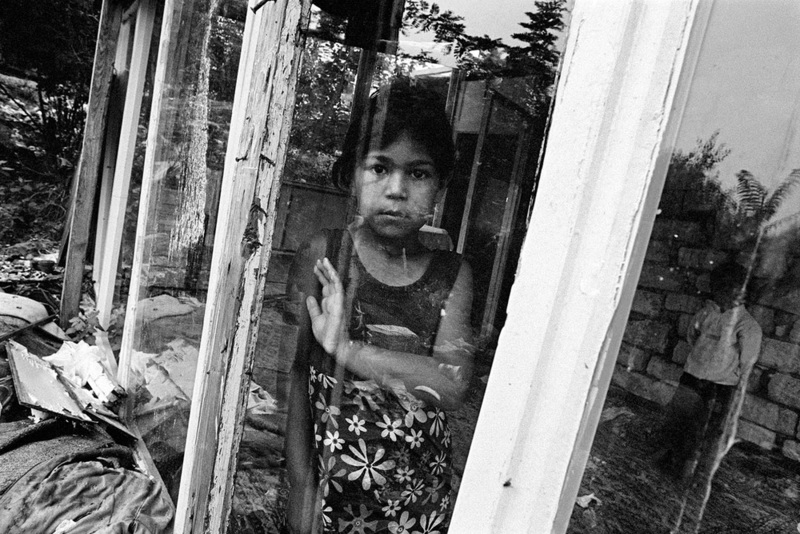 Prejudice and discrimination pushed Roma to live in segregated and unregistered squatter settlements located on the fringe of urban centers throughout the country, none of which fulfilled requirements for possessing permanent legal residence. After years of displacement, many stayed and settled in areas like Belgrade, Novi Sad and Kruševac. A new generation emerged. Serbia was their home. Unfortunately, many parents had not entered their children in the birth registry because they were unable to provide sufficient evidence and documentation for themselves. Poverty, lack of awareness and parental irresponsibility also contributed to the problem. But it was the historically complicated, bureaucratic and often dysfunctional administrative system of the state that trapped thousands of Roma in a vicious cycle where they were legally invisible – an invisibility that was inherited from one generation to the next. This 15-year-old holds a folder of paper that contains the names and dates of birth for he and his six brothers and sisters. He was born to a Roma family that fled from Kosovo to Serbia in 1999. All of the children in his family are legally invisible. The only record of their date of birth is this piece of paper hand written by his father, who passed away in 2012. Due to a number of reasons, many Roma children are unable to be properly registered at birth. In Serbia, Roma are some of the most vulnerable and disenfranchised people in the country, especially those without documents. They are constantly under the threat of eviction, susceptible to detention and defenseless from targeted discrimination and harassment. Though helpful changes have recently been made to Serbian laws and court procedures related to birth registration, many Roma continue to have trouble acquiring documentation and citizenship.